Luke: I’m going to have to read that again. I sought it in the library many years ago after reading a reference to it in a book about Krazy Kat. 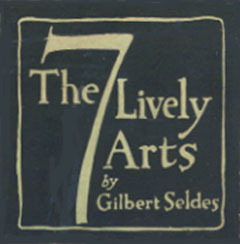 I read “The Seven Lively Arts” cover to cover and enjoyed it all. Seldes missed the mark on Keaton and Lloyd in the book, dismissing Keaton as a run of the mill slapstick clown and Lloyd as a Charles Ray wannabe. Those may be the most glaring oversights. The most influential aspect of The 7 Lively Arts is Seldes’ celebration of Krazy Kat as the greatest artistic achievement in comics. 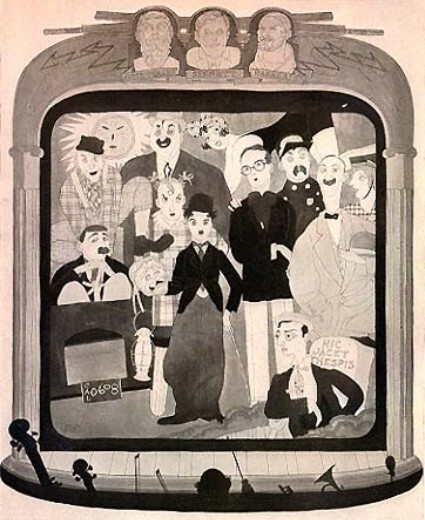 The book is also an invaluable resource for Seldes’ analyses of the B’way and vaudeville performers whose work was recorded sporadically, or not at all, on film.